The iPhone is available in China from official Apple stores, although the device is more expensive that it is in Hong Kong and people still try and smuggle the handsets into China. A woman has been arrested with 102 iPhones strapped to her body whilst trying to smuggle the handsets into China. As well as the 102 iPhones, the woman also had 15 luxury watches concealed on her person, she was though to be carrying more than $100,000 worth of iPhones and watches. The haul of phones and watches weighed more that 40 pounds. 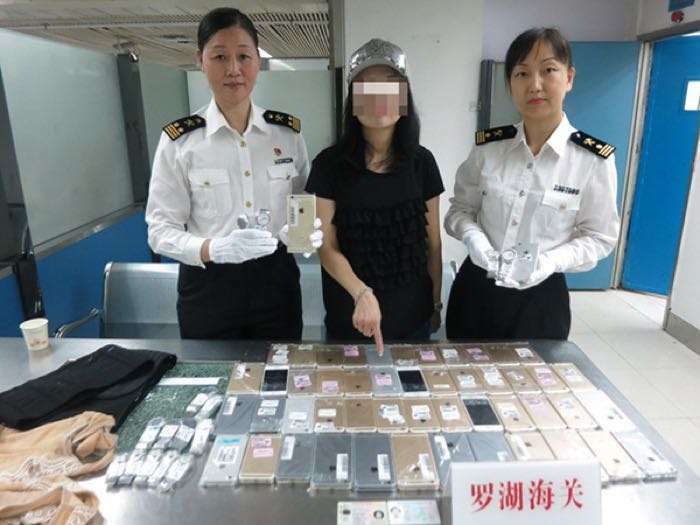 This is not the first time that someone has been caught trying to smuggle lots of iPhones into China. A man was caught back in 2015 with 146 iPhones hidden on his body.